So says Ahmad Alissa, a Syrian refugee now living in Belfast who volunteers at Oxfam’s shop on Botanic Avenue. Born in Aleppo, Ahmad is from a family of four brothers and five sisters who had a comfortable life thanks to their large olive grove farm and also from a business producing materials for the construction industry. “When I first left Syria, I thought I’d be a refugee for a maximum of one year… maybe two years,” Ahmad continues. “But that dream is gone now. Now it seems Belfast and Northern Ireland is my home. 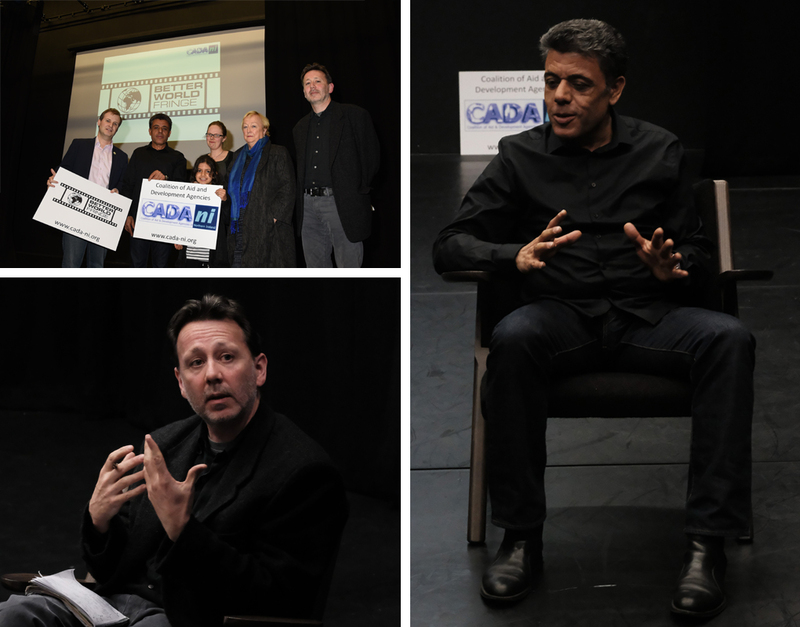 Ahmad was speaking after the screening of a documentary called District Zero at the Belfast Film Festival’s Better World Fringe section organised by the Coalition of Aid and Development Agencies (CADA NI), an umbrella group of large and small charities based in Northern Ireland, working to tackle poverty and its root causes around the world. 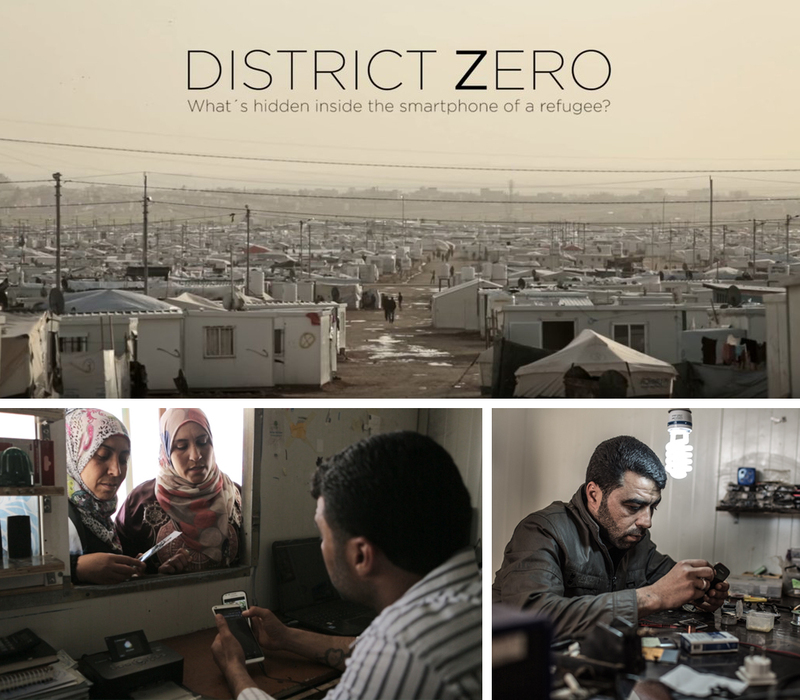 District Zero – a film co-produced by Oxfam and the European Commission – tells the story of Maamun, a Syrian refugee who begins a new life in fixing mobile phones and helps fellow refugees print off photos of happier times. In almost five years Syria has become the epicentre of a massive humanitarian catastrophe, causing 4.6 million people to flee the country for their lives and 6.8 million more to be displaced internally. While each refugee’s story is different – for example, unlike the film’s protagonist, Ahmad left Syria before the conflict because of political persecution, and was never in a refugee camp – the documentary does reflect some heart-breaking universal truths behind the refugee experience. Ahmad agreed: “Nobody is happy to leave their home. When I was living in a peaceful Syria, I never imagined I would be a refugee. It’s a reminder that, in the wrong circumstances, anyone could end up as a refugee. “Many of the people shown in the film come from lives not dissimilar to people I have met here in Northern Ireland – with families and friends, jobs and homes,” added Ahmad. While Colm agreed with one of the audience members who suggested that the film depicted the best possible refugee experience – with good conditions and economic opportunities – he said: “District Zero shows the heart-breaking reality of refugees in the world. This is as good as it gets for refugees in terms of facilities. You can meet people’s material needs, but in a crisis people want a human connection and a connection to home. The film gives a face to the daily drama of millions of people and shows that behind every number and every statistic, there is a story to be told. The title of the film evokes the idea of the lives of Zaatari’s inhabitants being suspended or stuck at a ‘Point Zero’ because of the ongoing war in Syria. “Conflict has forced people to live in these camps with an uncertain future. They remain stuck in limbo, unsure when they will be able to reunite with their families, or go back to their homeland,” Colm added. Also on the panel discussion, chaired by blogger Alan Meban, was Monica McWilliams, a Professor of Women's Studies at Ulster University of Ulster and a renowned expert on women in conflict. Monica has been involved in capacity building of Syrian women's groups in Geneva to bring women's voices into the negotiation process. Monica told the audience: “When in conflict woman are thrown into extraordinary circumstances and they do extraordinary things. The courage, resilience and coping skills shown in the film touches your heart. To wrap up the event each panellist was asked to recommend a course of action for the international community on Syria and what we here in Ireland, north and south, need to do. Colm Byrne said: “The concept of humanitarianism is one we hold dear yet we’re not responding to the crisis correctly. Europe’s response to the refugee crisis does not reflect a focus based on humanity, it’s a security response. The deal between the EU and Turkey deal is ill-thought through and illegal, contrary to the spirit of international and humanitarian law. “Wealthy states only accommodate 10% of refugees. We have to accept our fair share. We need to directly engage with our politicians to find solutions, to physically open our arms. As communities, rights holders and voters we need to put pressure on our leaders to do our fair share. Phillip Graham is a Media and Communications Executive with Oxfam Ireland. The District Zero film is part of the ‘EUsaveLIVES – You Save Lives’ campaign by Oxfam and the European Commission’s Humanitarian Aid and Civil Protection department (ECHO), which aims to raise awareness on the lives of almost 60 million refugees and displaced people worldwide. If you liked this blog, sign up for our newsletter, called “Oxfam & You&rdquo - a selection of inspirational photos and stories from Oxfam's work around the world will delivered to your inbox once a month. If you are born a girl, you’re more likely to be living in poverty, be worst affected when emergency strikes and have fewer resources, rights and opportunities than men. That is why our programmes support women to claim their rights and make decisions that affect their lives. We also work with communities to break down the long-held prejudices behind domestic violence, e.g. through the ‘We Can’ campaign in Tanzania which has seen over 350,000 men and women pledge to end domestic violence in their communities. We also address the lack of education and opportunities with loans, seeds, tools, better farming techniques and business training, helping thousands of women in countries like Rwanda to grow more food, set up businesses and make goods that they can market themselves. This International Women’s Day (Tuesday, March 8th), join Oxfam in celebrating women everywhere. Ending poverty starts with women – because their strength, resilience, tenacity and vision are the key to creating lasting change in their communities. For example, if women were given equal access to agricultural resources they could grow enough extra food to feed more than 100 million of the world’s hungriest people. Yet every day, women’s efforts to escape poverty are blocked by discrimination and inequality. Women routinely face violence, abuse and unequal treatment at home, at work and in their wider communities. That’s why we need your help to continue to give girls and women greater opportunities so that they can shape their own futures. By supporting our work worldwide, you will enable us to continue to help women and girls fight discrimination and overcome poverty. 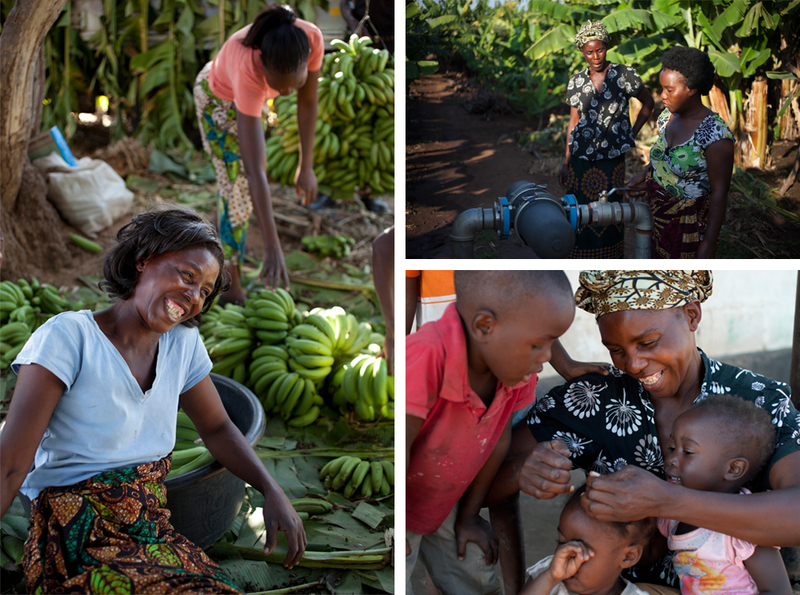 By helping a woman through Oxfam, you help her immediate family and her community, generation after generation. Irene Muzukira (42), once a struggling farm labourer in Zambia, has turned her life around. 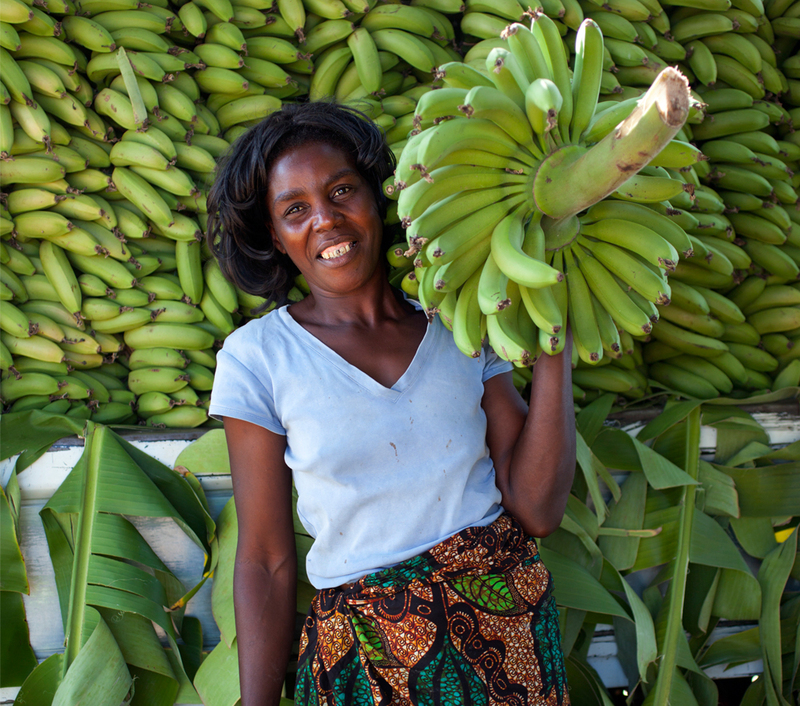 An Oxfam training programme gave her and other members of the Kabwadu Women’s Farming Group a life-changing opportunity to grow their own bananas. Investment in a hydro-powered pump, solar-powered fencing and training means that their banana plantation is thriving in this hot climate. The days when Irene and her two children went to sleep hungry are gone and, unlike Irene’s own parents, she can invest in their education. And the project’s success is felt in the wider community; 80 women and their families reap the benefits of this fruitful initiative. Female heroes like Irene are working tirelessly every day to care for their families and improve their communities. 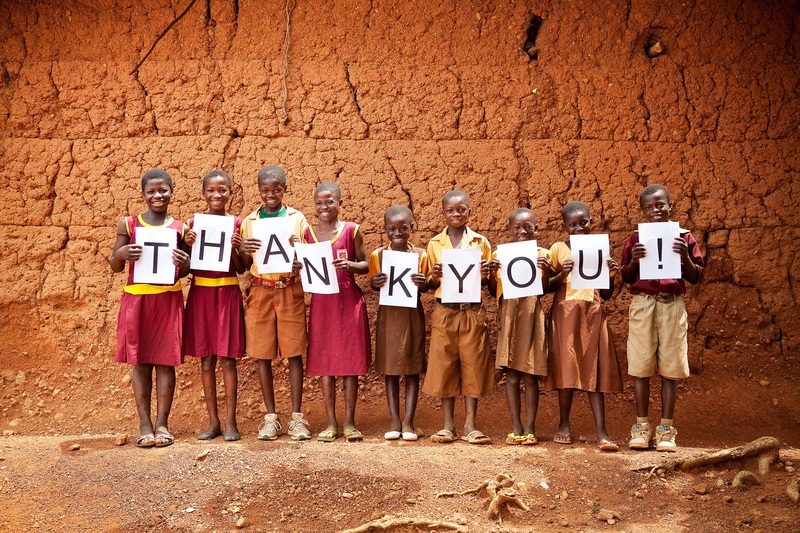 Please support them to change their world by lifting them out of extreme poverty. From bake sales and ‘zumba-thons’ to 50km hikes, people all over Ireland – north and south - generously give their time and talent to fundraise for Oxfam Ireland. Why not join them? Here’s our guide to fundraising to help you get started. 1. Why take part in a fundraising event? 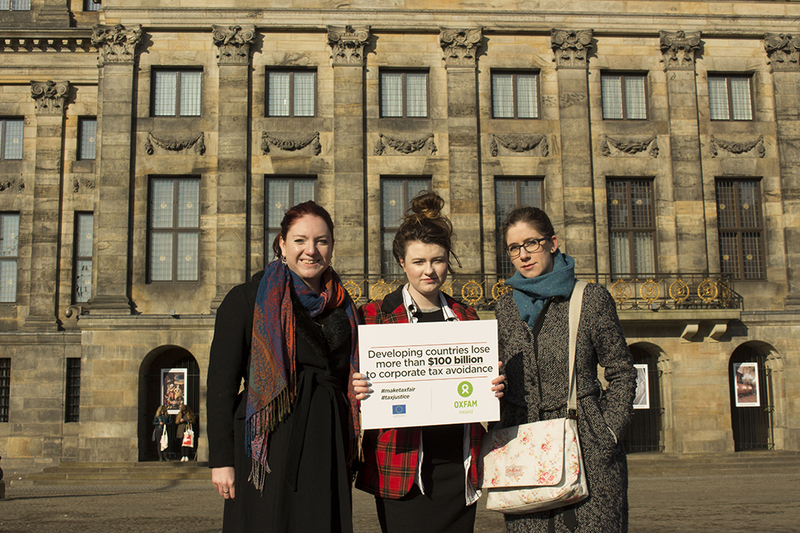 Oxfam is a global movement of people who won’t live with the injustice of poverty. We believe it’s possible to live together in a fairer world. One in which everyone has enough food to eat, easy access to clean water and can provide for their families. One in which people are safer and better able to recover from crises and disasters and can influence the decisions that affect their lives, exercising their rights as full citizens of the world. By fundraising for Oxfam Ireland, you are joining that movement, becoming the local link in a global network of people building a brighter future now. Your vital support will save lives in emergencies, help people build better lives through our long-term development projects and transform communities through our campaigns for lasting change. Taking part in a sponsored challenge or organising your own fundraising event is easy and anything goes – walk, run, cycle, hike, climb, make music, make cakes or make coffee – just enjoy getting together! From sponsored coffee mornings to a fundraising music gig, there are lots of fundraising ideas to choose from. To give you some inspiration, here's our A to Z of fantastic fundraising ideas if you’d like to organise your own event. If you would prefer to take part in an already organised event and would like to raise funds for Oxfam via sponsorship, check out our full list of organised upcoming events. Remember to choose something you’ll enjoy, and that will be popular with others! It is also worth bearing in mind that simple raffles at one-off events usually don’t require a licence, however, if you are selling tickets in advance of the event you may need one so it’s best to check at your local Garda or police station. If you've any questions or need any support in your efforts, please get in touch here. If organising your own event make sure you allow enough time to prepare before setting the date. Making a checklist of everything you need to pull off the event, including people to help, is a good way of ensuring you don’t miss anything and that everything gets done! If taking part in an established event, such as the One World Run in Belfast, the Dublin Marathon or the VHI Ladies Mini Marathon, make sure to register for the event in advance, you will find links to do so on our upcoming events page. Once you have organised or registered for your event, the next step is to create an online fundraising page so people can donate easily online. Your page can be personalised so you can tell people exactly what you are doing and why! Friends and family can easily share the page to their social media networks and by email to help you raise awareness of your event. We can also send you sponsorship forms if you would like to raise funds offline as well. 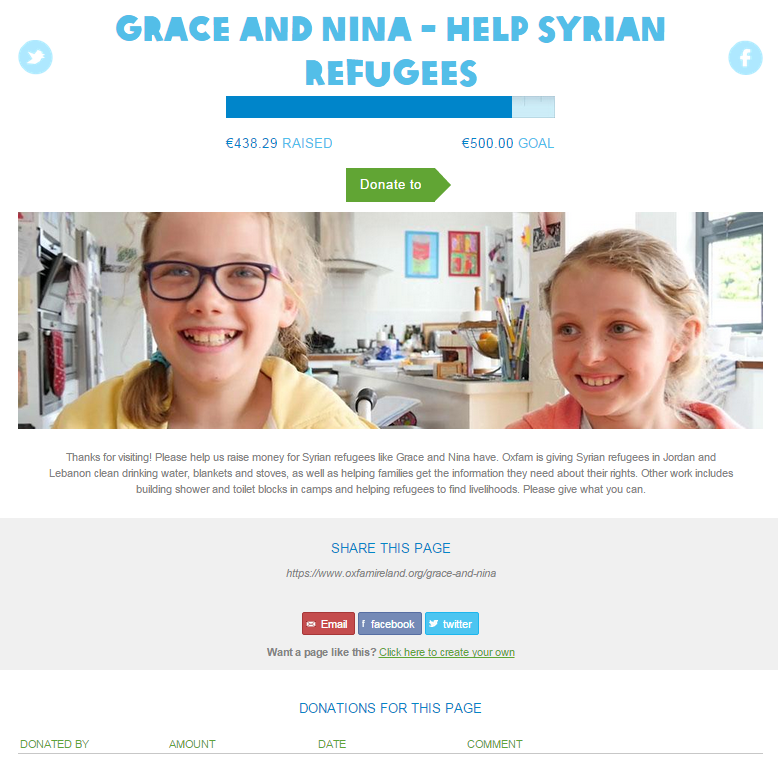 Add a title, image, fundraising goal and description to your online fundraising page. Get sharing! Ask friends, family, colleagues and even acquaintances to pass on news about your fundraising and share your online fundraising page - word of mouth is a powerful tool (especially with the help of online social networks such as Facebook and Twitter!). Get in touch – let us know what your fundraising plans are and we’ll help you in whatever way we can with additional fundraising resources! We can provide you with a complete fundraising pack that includes posters, t-shirt(s) and other materials to help you build awareness for your event. Take lots of pictures or ask your family or friends to take photos of you. If you send them to us we may be able to help you promote the event. Just before the event, why not send a quick reminder text that may help raise last minute funds! Whatever you decide to do to raise vital funds for us, we hope you have lots of fun! Online - add donations to your online fundraising page so as offline funds are included in your total and count towards your goal or you can simply make a single donation on our website. By phone - Call +353 (0) 1 672 7662 to get through to our Dublin office or you can call +44 (0) 28 9023 0220 to get through to our Belfast office. 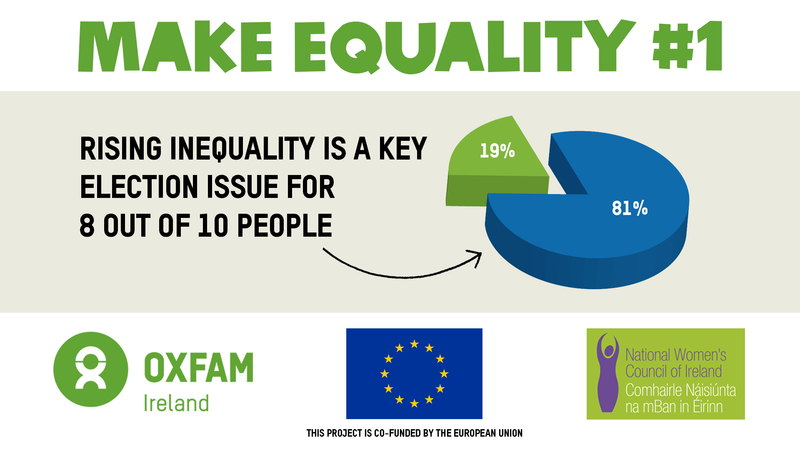 Or to our Belfast office: Oxfam Ireland, 115 North Street, Belfast BT1 1ND, Northern Ireland. Afterwards, thank everyone who helped with you fundraise and those that donated. We wish you the every success with your fundraising activities – and remember, we’ll help you every step of the way!